Sermon preached on 2 Timothy 2:8-13 by Rev. 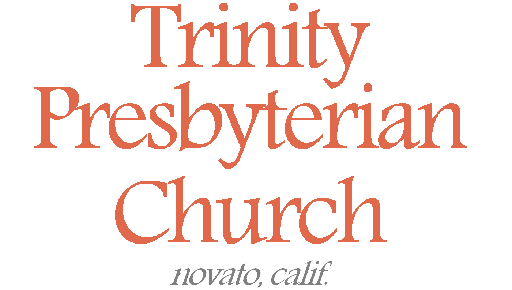 W. Reid Hankins during the Morning Worship Service at Trinity Presbyterian Church (OPC) on 3/20/2016 in Novato, CA. Remember. That is what we came together to do today. To remember the death and resurrection of Jesus Christ. And that’s what verse 8 commands. Remember. Verse 8 Paul says, “Remember that Jesus Christ, of the seed of David, was raised from the dead according to my gospel.” And so that is what we’ll do today. This whole passage has in the bigger picture the death and resurrection of Jesus Christ. But let’s begin first thinking specifically about verse 8. And so we are commanded to remember Jesus Christ, his death, and his resurrection, and how it is related to the gospel. So remember with me for a moment. Remember, that Jesus was born as verse 8 says from the seed of David. Remember, that he was born of the virgin Mary in that manger over 2000 years ago. According to flesh, he was of the lineage of King David. But according to the Spirit, as we know from other passages, Jesus was also the only begotten Son of God. And so he was both God and man! And so that eternal one came into time and space, born as that little baby. He humbled himself to take on human flesh, along with all its infirmities and frailties. And then he grew up and began a public teaching ministry. He proclaimed the coming of the kingdom, and the gospel of salvation through repentance and faith in him. But they didn’t understand. All this physical suffering was part of the mission that he undertook. But it was actually only a small part of the suffering he came to endure. For as he hung on the cross, he bore God’s wrath toward sin. He was giving himself as an offering for God’s elect. That’s why it got dark when Jesus was on the cross. It symbolized the judgment God was pouring out upon Jesus as he hung there. Jesus expressed it when he cried out, “My God, My God, why have you forsaken me!” But Jesus knew the answer. It was so that he could redeem a people for himself. For that is why Jesus came; he came to be the savior of his people; to save his people from their sins. And that is what the cross represents. 2 Corinthians 5:21, “For He [God] made Him who knew no sin to be sin for us, that we might become the righteousness of God in Him.” And so as he hung there, finally he breathed his last, and died. Victory was at hand. For Christ not only died, but on the third day he rose again! On that first Easter morning, he rose from the dead. The angels at the tomb were the first to announce it. And then he began to show himself alive. Mary Magdalene was the first to see the risen Lord. Soon after that he showed himself to the eleven. And then over a period of forty days he made several other appearances to various people. At one point he showed himself to over 500 people at once. And then he gave his disciples a commission, to go to the world and make disciples of all the nations. And then he ascended up into heaven, with the promise that he reigns on high, and even now will be with us. And so in his glorious resurrection he showed that he had conquered death and could deliver on the promise of the gospel. That whoever believes on him shall not perish, but have everlasting life. Resurrection of Jesus, there would be no gospel, and there would be no salvation. For the Bible says we are all sinners. It says that we all deserve death and damnation because of all our sins. The Bible says that God has reserved a day of judgment in which he will cast his enemies into an eternal lake of fire where the fire will not be quenched, and there will be eternal torment. That of course is the bad news. But the good news is that Christ has made a way of salvation. But it is founded upon his death and resurrection. Paul says in 1 Corinthians 15:17, that if Christ is not risen, then our faith is futile; for we would still be in your sins! But the good news is that Christ did die and rise again for us, conquering the grave. And he grants this salvation to all who unite to him in faith and repentance as his disciples. This is what we remember again today. But I want to make sure we understand the command of this first point. Verse 8 is not talking about the occasional remembrance as if this was something to do once a year on Easter. No. The idea is not an occasional remembrance. It’s a continued remembrance. The command of verse 8 is to keep this constantly in your mind. To think about it regularly. To have it fixed in front of you in all that you do. Because we need this gospel to motivate us and spur us on as we live in a world that is both hostile to Christianity and resistant to us bearing witness to Christ as we’ve been commanded to do. And in the midst of the world’s pressure on us to be ashamed of Jesus or to turn away from him, we need to remember all that Christ has done for us. We need to remember what we have in him. And we need to press on in faith and endurance in our Christian hope. You see, that’s the larger context of this passage. It’s the background for why Paul is calling us to remember Jesus’ death and resurrection. This brings us then to our second point for today to consider the faithful saying of verses 11-13. This faithful saying is something we use sometimes in our service for our weekly confession of faith. And it is a beautiful statement of what it means to follow Christ, and compares that with those fall into apostasy. You see, this faithful saying of verses 11-13 can be divided into two parts. The first half speaks of those who persevere in their faith in Jesus amidst the afflictions of this world. But the second half speaks of those who do not; those who become apostates. I might mention, by the way, that this is the fourth of five faithful sayings that Paul gives us in the Pastoral Epistles of 1 and 2 Timothy and Titus. And this faithful saying is clearly poetic, quite possibly part of an early Christian hymn. The two-part structure that we just mentioned is only part of its poetic qualities. There are actually several layers of parallelism here. I already mentioned the contrasting parallelism that divides the faithful saying in two: the first about the faithful, and the second about the apostates. But then in each of those two sections, they each contain two lines. The two lines in each section are parallels of each other; in other words, they complement each other by touching on a similar notion. In other words, the line about dying and living in verse 11 parallels the line about enduring and reigning in verse 12. And the line about denying in verse 12 parallels the line about faithlessness in verse 13. And then each of the four lines themselves are two parts, with intentional parallelism, either complementary or contrasting parallelism. So this short faithful saying is a literary work of art. It is beautiful. But more than that, the multiple layers of parallelism and contrast helps us to understand what the saying is about. Not only does it contrast the faithful versus the apostate, but it brings those two groups into connection with Jesus Christ. And remember, this is the Christ who himself died and rose again. And so let’s think first about the faithful mentioned in the first half, then we’ll consider the apostates. It mentions first in verse 11, “If we died with Him, we shall also live with Him.” When we hear this reference to death and life, we immediately remember what we were just told to remember: the death and resurrection of Jesus. Of course, since Paul is not writing to people who are already physically dead, that helps us understand what it’s talking about here when it talks of our death. In other words, when it speaks of our death, I believe we need to take that as something other than simply physical death. Rather, it’s language that identifies us with Christ as someone who has spiritually died to our old life, and now live as Christians in a new identity. Paul says in Galatians 2:20, “I have been crucified with Christ; it is no longer I who live, but Christ lives in me; and the life which I now live in the flesh I live by faith in the Son of God, who loved me and gave Himself for me. And so the Christian is someone who has experienced a sort of death already. But not just that, going forward in life as a Christian is a sort of ongoing death. Jesus said that as his disciple we are to take up our crosses daily. And listen to Paul in 2 Corinthians 4:8-10, “We are hard pressed on every side, yet not crushed; we are perplexed, but not in despair; persecuted, but not forsaken; struck down, but not destroyed — always carrying about in the body the dying of the Lord Jesus, that the life of Jesus also may be manifested in our body.” In other words, when we become a Christian, there is this radical change that takes place in us, such that we are no longer really of this world any more. That inherently will involve these hardships and struggles as we follow Christ. You know, too often today, when the gospel gets presented, it doesn’t bring out this reality. Sometimes Christians will tell non-Christians that God can change your life for the better, and though that’s true in a certain sense, the reality is far more complex than that. The reality is that much of the reward for following Christ looks to beyond this life. Yes, there are rewards here and now too, and ultimately it is the best way of life. But there are many difficulties that Christians will face in this life when they unite with Christ. That’s why it talks about dying with Jesus. It’s getting at how we suffer with Christ in this life. But here’s where the death and resurrection of Jesus encourages us. Because as Christ not only died but rose again into that resurrection life, that is exactly our future hope as well. We already experience that new life in Christ, in part. But we look forward to eternal glory when we will experience it in the full. And so with that explanation, that helps us understand the parallel of verse 12. If we endure, in other words, if we stay steadfast in faith in Christ despite all the persecutions and shame we face in this world, we will reign with him. Again, already, right now, there is a way in which we reign with Christ. But especially when Christ returns, we will join with him in reigning in his kingdom. For example, it says in 1 Corinthians 6:3 that in the age to come, we will even judge angels! Wow! And so the momentary afflictions Christians face today are but light in comparison to the eternal glory that awaits us. And so we are called to persevere in our faith and in our service to Christ. And we rejoice in the grace he supplies to bring this about. And yet we know that the Scriptures also warns about apostasy. This is the idea that some at least outwardly receive the gospel and at first appear like they have become followers of Jesus. But when tribulation or persecution arises because of this world, they stumble and fall away, showing that they have not really been rooted in the Lord. And so verse 12 speaks of such who would deny Jesus. For those who at first claimed to follow Jesus, but then deny him, verse 12 says that Jesus will deny him. We remember Jesus’ words in Matthew 10:33, “Whoever denies me before men, I also will deny before my Father who is in heaven.” Of course, if this is an area that you have in the past failed in, I would encourage you that if you are here today hearing the Word, there is yet time to repent and be saved. This word of denial is the same word used of the Apostle Peter’s threefold denial of Jesus. It was at the very hour of Jesus’ arrest and imminent death when Peter denied him three times. Yet after the resurrection, Jesus wonderfully restored Peter and Peter wonderfully came to know the forgiveness of God for those sins. So there is grace in Christ for the person who has in the past denied Jesus. But for those who do deny Jesus and never come to a point of true repentance and faith, then they will know the judgment of God. Similarly, we have the complementary line in verse 13 when it speaks of if someone is faithless. The one who denies Jesus is the one who is faithless. They are complementary notions. And so recognize the contrast here. This denial language and the faithless language is in light of the first half’s point and the larger context. Paul has in mind here and throughout this chapter that people who profess Christ will face persecution and tribulation. Some will show by their preserving faith that they are genuinely Christians, that God by his Spirit has begun a real new life within them. Others who fall away in apostasy, show that they have never really known the Lord and his saving grace. But then verse 13 gives a poetic twist. Verse 13, “If we are faithless, He remains faithful; He cannot deny Himself. The second half of that line turns to focus in on Christ. Of course, the whole faithful saying has had Christ in mind, with references of “with him,” like if we die “with him.” But the very end turns completely center in on him. Jesus, unlike the apostate, won’t be faithless. Unlike the apostate who denies Jesus, Jesus will not deny himself. He will be faithful to deny the apostate; but he won’t deny himself. He can’t! Jesus is true and trustworthy! And that is what makes his word trustworthy and true. That’s what makes this faithful saying worthy of our faith. Because the one who promised is true and faithful. And this we see in his death and resurrection. Jesus truly predicted that and showed his truth and faithfulness. And it’s in that death and the resurrection that he makes it possible to truly deliver his promise of grace to all who believe in Him. And this makes this all indeed so trustworthy and faithful; so worthy of our trust and faith. And so let’s briefly tie this all together in our final point by noting Paul’s own example. I refer to verses 9-10. Paul mentions there his own chains for Christ. He’s had to suffer as a Christian, treated like an evildoer, as Christ himself had been. In these ways, he’s had to endure. Same word of endure in verse 10 as in verse 12. He’s pleased to be among the faithful, and not only because it means life and glory for him. But it will also mean life and glory for others too! Because he mentions there in verse 10 that he also sees the benefit to the elect; that they might know the salvation that comes in Christ Jesus. I love how he speaks of this salvation as one that comes with eternal glory. That’s what it’s all about! And to remind us of the overall theme today; this eternal glory for God’s elect is only possible because of Jesus Christ’s death and resurrection. Let us indeed remember that! And so we’ve been seeing all these contrasts today, and there’s actually another on in verse 9, about Paul’s suffering. Paul is chained, literally, he’s in prison. But the word of God is not chained! Paul suffering, even being thrown in prison, doesn’t stop the word of God going forward. Jesus’ death certainly did not stop the word going forward. And the same comes to us. As we endure suffering as a Christian, that won’t stop the word going forward. Actually, to Paul’s point, it can actually help speed it along. And when we remember that this looks toward the eternal glory for ourselves and others, then that makes it all worth it! That encourages us that our suffering and struggles don’t hinder the gospel work, but can actually advance it. Well, Paul’s example then commends to us how we are to live. Let us remain steadfast in faith in Christ, no matter the trials. This is the point he is making in this chapter. Look back to verse 3. He commands Timothy to endure hardships as a good soldier of Christ. And look ahead to verse 15. He commands Timothy to not be ashamed to be a worker for Christ. Let us then take the same applications today. Let us suffer and even die with Christ, knowing we live and reign with him. Let us continue to fight the good fight of faith; let us look to finish the race. Let us press on by the grace of God unto glory. And let us do all this, remembering the death and resurrection of Jesus Christ. Let us keep believing in that, let us keep enduring in that. I love how Paul refers to the gospel in verse 8. He calls it “my” gospel. Well, surely it was Timothy’s gospel too. But the point is we see how Paul takes ownership of it. Jesus’ gospel tells us of his death and resurrection for us. And so as Christians, Jesus’ gospel is then our gospel. It is our hope and faith and testimony. If you are one here today for whom this gospel has not yet become your gospel, I urge to make it yours today. Turn and follow Jesus. Commit your life to him. Trust him as your Savior and Lord. And for the rest of us who have known Christ, remember this great gospel again today, and be proud to call it your own! Amen.